Quick delivery of high pressure fan blowers, industrial fans and OEM ventilators: centrifugal scroll cage and axial blower fans. 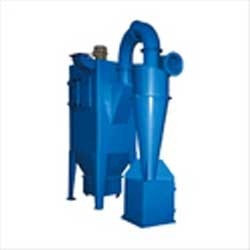 Engineering of high pressure blowers and high temperature fan ventilators - material handling radial blowers and air fan ventilators for roof and wall exhaust and air make up blowers and fans. 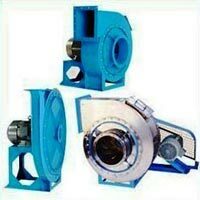 Industrial process and OEM fans and blowers for heavy industrial applications. Air / gas moving systems for high performance commercial and industrial processes. Commited to the outstanding customer service and the highest level of customer's satisfaction. The RBF fiberglass fan offers superior corrosion resistance to gases, fumes, and vapors. The RBF's fan housings feature a solid FRP hand lay-up construction utilizing corrosion grade flame retardant vinyl ester resin. A glass veil is standard for airstream surfaces providing a resin rich liner to maximize chemical resistance. Canada Blower RREH Three-Way Heat Saver / Ventilator is a multi-purpose fan designed for ventilating applications that require air recirculation. Canada Blower reversible fan and versatile damper control systems make a unique year-round ventilator capable of operating in three different modes: Heat Saver Mode, Mixed Air Mode, and Exhaust / Supply Mode. Each Canada Blower ventilator is constructed with close tolerances between the fan propeller tips and the orifice to maintain maximum efficiency. The reversible, cast aluminum alloy fan propeller is secured to the motor shaft with a split taper lock bushing. The hood of the Canada Blower Three-Way Heat Saver / Ventilator is constructed of corrosion-resistant, fiberglass reinforced polyester and is attached to the fan with heavy-duty structural angle supports for added fan stability. • Modulated temperature control (optional) to temper recirculated air with outside fresh air. Buildings with high ceilings save on energy costs by using the Three-Way Heat Saver configuration. During the winter, heated air inside the building rises to the ceiling where it becomes trapped. Air temperatures near the ceiling may be 5°F to 20°F higher than temperatures at the floor in the working area. Due to convection, the heat is transferred to the exterior side of the ceiling. This causes the building to lose heat. To compensate for this heat loss and maintain a uniform temperature, the building’s heating system must continually work at maximum levels. By installing the Heat Saver unit, the warmer air at the ceiling is recovered and directed to the working area. As standard, the unit is furnished with recirculating dampers on two sides of the plenum fan section. 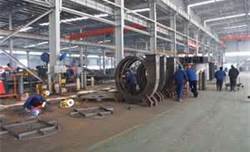 The unit recirculates the air by inducing it through the recirculating dampers and directing it back to the floor level. Recirculating the heated air minimizes the transfer of heat through the building’s ceiling and reduces the energy load on the building’s heating system. By recycling the trapped warm air, a manufacturer can expect to save 10 to 30% on fuel bills. In areas where high heat loads occur, the Three-Way Fan Heat Saver / Ventilator can operate in the mixed air mode and mix the recirculated air with outside air to maintain a comfortable working environment. Heat Saver Mode – In the heat saver mode the unit induces warmer air trapped near the ceiling through the recirculating dampers and directs it downward to the working area. Recirculating the air in this way reduces the load on the heating system by maintaining a nearly uniform temperature between the floor and the ceiling. Mixed Air Mode – The optional modulating fan damper control system permits outside air to be added to the recirculated air. This is particularly desirable in spring and fall when wide outside temperature fluctuations can cause the heating system to override. Exhaust Mode / Supply Mode – With the recirculating fan dampers closed, the ventilator can be used to exhaust hot air from the ceiling area. By reversing the fan rotation, 100 % outside air can be supplied. The reversible fan moves the same volume of air in both the supply and exhaust directions. 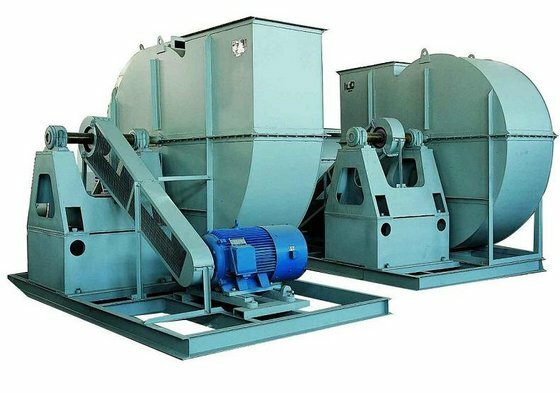 The fan’s rotation is easily switched between supply and exhaust by using the optional reversing starter. In large rooms, it is particularly effective to use several ventilators for summertime ventilation, using alternating units as supply fans and exhaust fans. All Canada Blower ventilators can then be arranged in this pattern for thorough coverage. An integral part of Canada Blower Three-Way Heat Saver / Ventilator is Modulating Damper Fan Control package. The Modulating Damper Control package is designed to modulate one supply / exhaust fan damper, mounted horizontally at the roof curb level, and two recirculating fan dampers, mounted vertically on two sides of the fan’s plenum section. The three fan dampers are modulated to provide the right mix of recirculated air and outside air which reduces the heat load on the building’s heating system, lowering the building’s energy usage. The Damper Control package modulates the three fan dampers by using a discharge-air temperature-sensor, controlled from a remote set point. The dampers are modulated to maintain the temperature selected on the remote station. Modulating the fan dampers provides the right mix of recirculated air and outside air for supply, exhaust and recirculating operations. The control station is furnished as a separate part for remote mounting at the site. It houses the reversing starter switch for starting the fan and changing direction (reversing motor starter optional), and a temperature set point for temperature adjustments between 40° and 90°F. A mounting fan bracket for the discharge sensor is included for field installation at the fan plenum discharge ventilating.com fanblower.com highpressureblower.net industrialblowerfan.com industrialfanblower.net industrialfanblower.com pressureblower.net northernindustrialsupplycompany.com industrialpressureblower.com tenderall.com chicagoblowercanada.com cbblower.com buffaloblower.com buffalofan.com nis-co.com canadianblower.com olegsystems.com canadablower.com abbblower.com acmefan.net industrialblower.net fansandblowers.net americanblower.net barryfan.com cincinnatifan.net canadafans.com barryfan.net pennbarry.net pennfan.net tcffan.com.